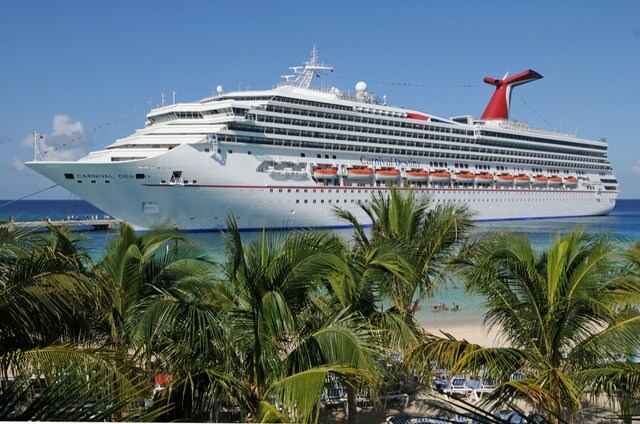 Shown here docked at sunny Grand Turk, Turks & Caicos. Photo courtesy of Carnival. NOTE: After a $155 million refurbishment, Carnival Destiny was renamed Carnival Sunshine when it launched in the summer of 2013. The 101,353-ton, 2,642-passenger Carnival Destiny was the first cruise ship to top 100,000 tons when she debuted in 1996, and ushered in cruising’s modern super-megaship era with her trendsetting three-deck-high showroom, humongous 9,000-square-foot casino, and nine-deck atrium anchored with a lobby bar. The ship’s 18-plus bars and entertainment venues line the busy Promenade Deck and include a sports bar, wine bar, and a piano bar. There’s a rockin’ disco, as well as a more elegant and subdued lounge one deck below for cocktails or a cigar. 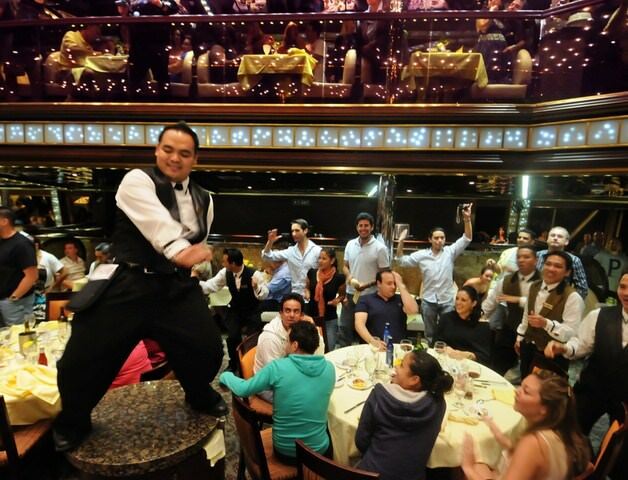 Dinner aboard a Carnival ship can be as entertaining as it is tasty. Photo courtesy of Carnival. Sunshine offers a pair of two-deck-high dining rooms with ocean views and a casual two-story indoor-outdoor buffet restaurant serving up all kinds of food, from Asian to deli-style sandwiches, burgers, salad and more. There’s also a sushi bar, 24-hour pizza and café for fancy coffees. Check out the four pools (one covered by a retractable roof), seven hot tubs and a 214-foot, three-deck-high spiral water slide. 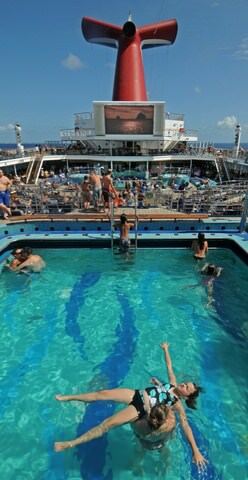 The tiered, arena-style decks of the main Lido Deck pool area are good for people watching as well as viewing the giant (and loud) video screen. The ocean-view gym has more than 30 exercise machines, while the spa offers a full range of treatments – though its décor is pretty drab. Kids are catered to in the well-stocked 1,300-square-foot indoor-outdoor children’s play center, which has its own pool and is nicely sequestered on a top deck. There’s also a video arcade for kids of all ages and a teen club with a dance floor and soft-drink bar. In keeping with Carnival’s focus on “big,” standard outsides measure a roomy 185 to 220 square feet, with the majority of outside cabins sporting balconies and sitting areas. The amenities include robes for use during the cruise and super-comfy mattresses and bedding. Only suites have mini fridges. To read a review of a particular ship, click the link under "Read the Review." 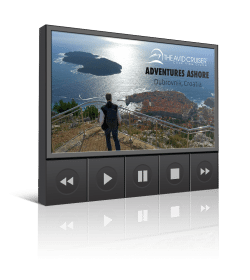 If applicable, our Live Voyage Reports offer a day-by-day overview of an actual cruise onboard. In some cases, there may be more than one report, to be sure to see if your favorite destination is represented. 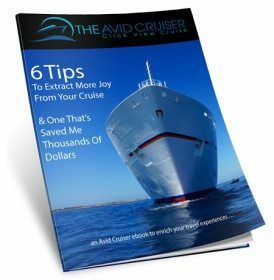 Rock ‘n Roll All Nite: Gene Simmons’ KISS Blog On Avid Cruiser?